When you choose to become a patient here, you become part of our family. 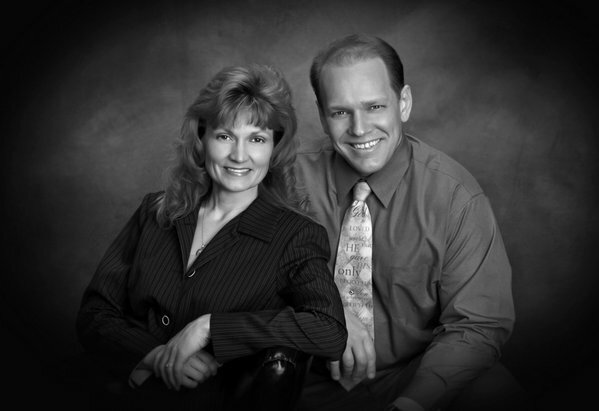 Dr. Taryn and Dr. Jeff Nyblom have been longtime residents of the Cambridge area. Both doctors grew up in Cambridge and graduated from Cambridge High School. They both attended local churches growing up, and are still active with their church today. They have solid faith in Jesus Christ and feel strongly that they were called to work here in the Cambridge area, despite wishing to seek warmer weather. After 8 years of college, they graduated from Northwestern College of Chiropractic. Shortly after graduating they started Total Health Chiropractic at its current location. This was over 22 years ago. They have been helping people just like you ever since. They are trained and proficient in many different chiropractic adjustment methods to cater to even the most sensitive patients. Even little babies find their methods to be gentle. Drs. Jeff and Taryn have experience treating the most complicated cases, and have more than just chiropractic adjustments to help us help you. They also offer acupuncture, physical therapy modalities such as ultrasound, hot/cold therapy, therapeutic massage, laser, decompression and functional medicine. Dr. Jeff is also a Certified Medical Examiner, National Registry number 9124645134. Over the course of 22 years of practice, they are constantly adding to the wealth of knowledge they have by attending as much training as their schedule will allow. The doctors have years of experience in therapeutic nutrition and functional medicine, often turning around the lives of the most hopeless patients with the knowledge and skill base they have developed. Please see their testimonials. The team of knowledgeable and friendly staff at Total Health Chiropractic are here to help you. Dawn and Marie are happy to assist you, and are waiting for your call.